Anton Paar’s advanced automatic distillation unit performs highly accurate boiling range analysis of petroleum products, aromatic hydrocarbons, and other volatile organic liquids. The innovative user interface, high safety standards, and excellent volume detection are the key to perfect results, lasting operator satisfaction, and cost savings. 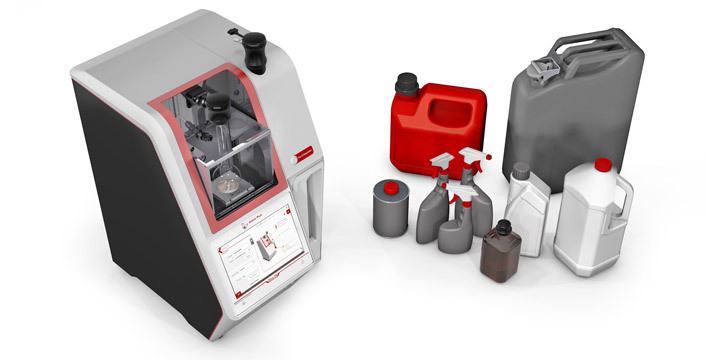 The customizable user interface with the look and feel of a smartphone is operated by a 10” touchscreen which offers enough space to show all relevant data for analyzing distillation results. Favorite menu items and frequently used methods are directly accessible from the main screen. 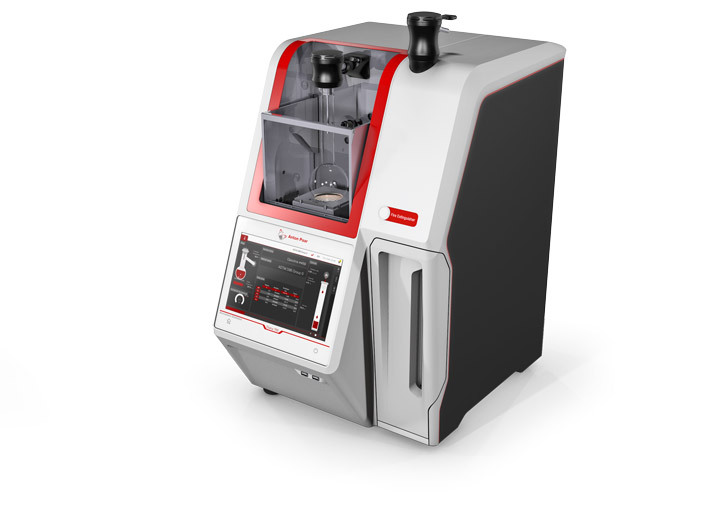 Using state-of-the-art technology and smart heater regulation, the instrument automatically applies optimal heater settings to ensure an atmospheric distillation according to the given standard, even for complicated samples such as ethanol-gasoline blends. Meeting the highest safety standards is a prerequisite for Anton Paar. Therefore, we have only selected superior-quality components to make the distillation unit a robust and safe instrument. 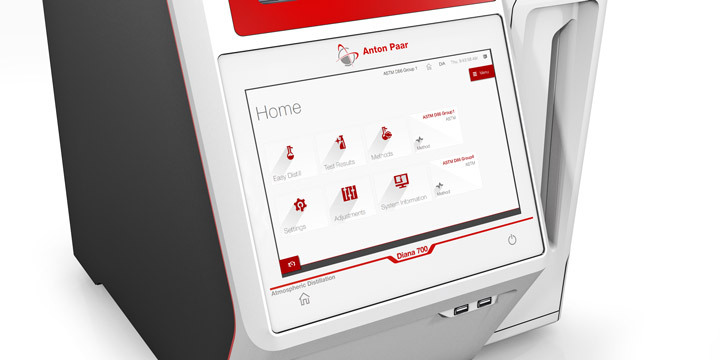 The design of Anton Paar’s distillation analyzer offers numerous active and passive safety features to protect not only the operator but also the surroundings and the instrument itself in all situations. The intelligent condition monitoring system controls all requirements that are necessary to perform a distillation according to the given standard. It shows a warning and recommends specific actions if conditions are not correct. 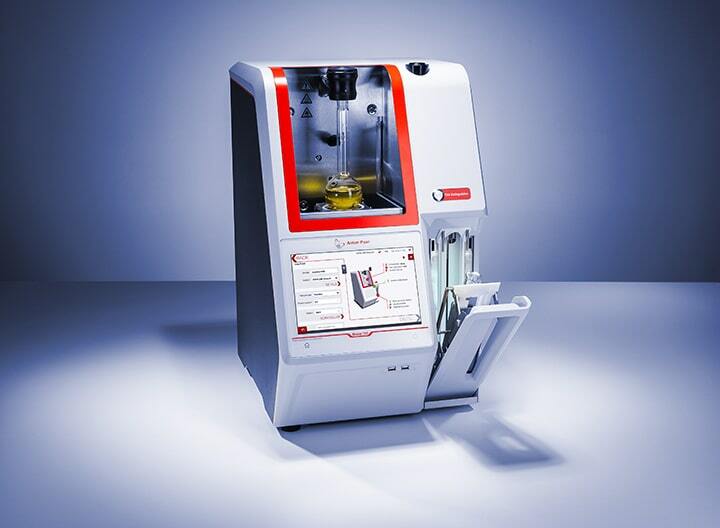 Meeting the requirements of users, standards, and today’s technologies, Anton Paar’s distillation analyzer is designed to be as small and robust as possible. Due to the integrated and energy-saving Peltier heating and cooling, it is possible to operate the instrument 24/7 at unbeatably low running costs. It also guarantees fast and accurate tempering of the condenser and the cooling chamber which even exceeds the standard requirements. The distillation behavior of petroleum products such as fuels, solvents, and other volatile organic liquids is determined precisely, meeting international industry lab standards. 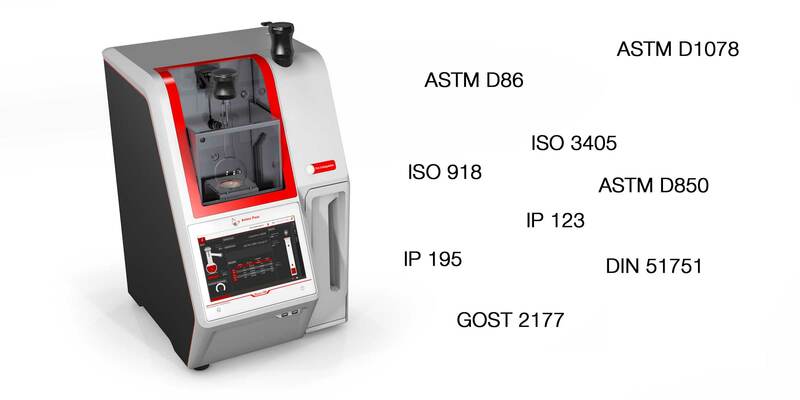 The automatic distillation unit measures in full compliance with ASTM D86 (group 0-4), ASTM D850 and ASTM D1078, ISO 3405, ISO 918, IP 123, IP 195, DIN 51751, and GOST 2177. A number of helpful features and accessories extend the range of applications and support you to ensure convenient and safe operation. 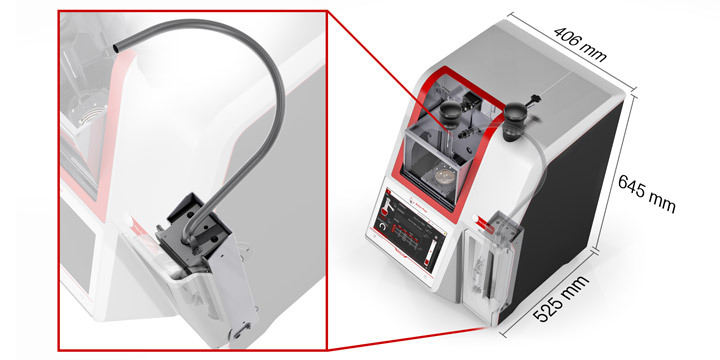 Anton Paar’s distillation analyzer can be optionally equipped with a mobile dry point sensor which extends the instrument functions to automatic dry point detection. 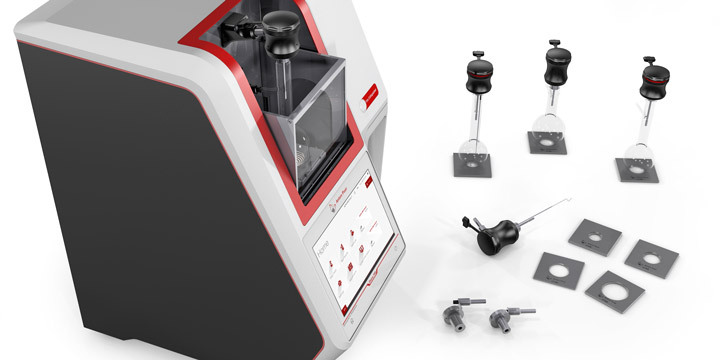 In order to provide highly accurate distillation results, all necessary calibration tools are available. The software already includes a guide for the calibration procedure.